Only one month until full "Ever Growing" game release. And the demo is out for two months now. So it's the right time to look at the main differences between the demo and full version of the game. Many new objects are added in the level editor since demo version (floors, enemies, and puzzle key items), but the biggest addition is boss fights. You will be able to add and rename boss in your stage in full version of the game. Also, SHIELD item is added so the player will no longer die from one hit (if the level creator put SHIELD item in his stage of course). Options for time limit are also added into level editor. 2. 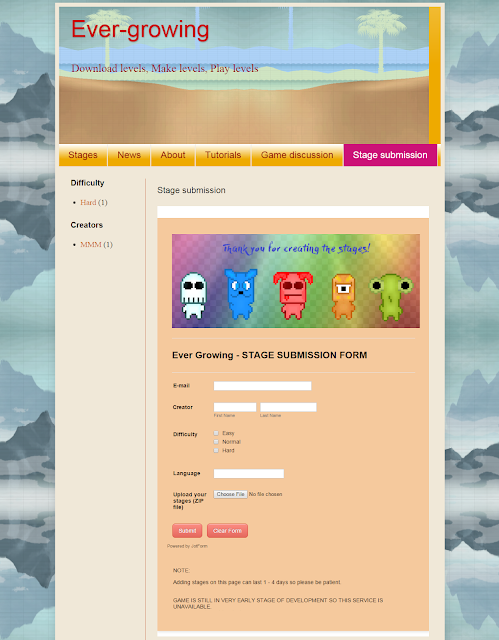 Save / Load stage. 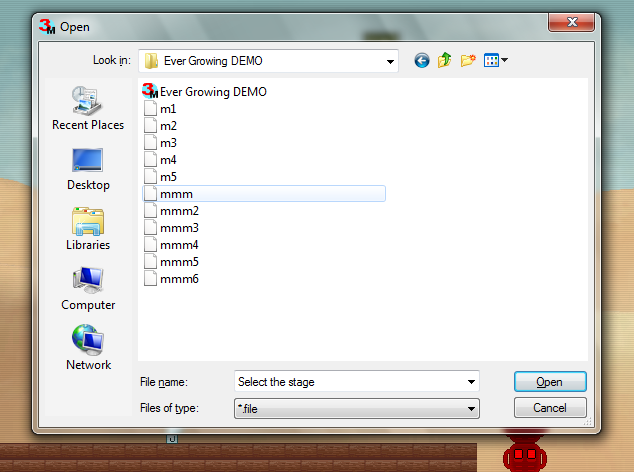 For those who try out Ever Growing DEMO knows that level selection screen is not as user-friendly as it should be. The reason for this is because "Ever Growing" never supposed to be the game with level editor. The main code was made for a pure platforming game. So in order fort player to play the stage, he must type in the name of the stage he wants to play without exiting the game which means that player must know stage names In advance. This system has now been corrected. The player can now simply select stage he wants to play from the game folder. It's not an ideal solution but it makes level selection a bit easier.